The new Kia Sportage features a range of enhancements to cement its position as the brand’s best-selling model in Europe. The new Sportage pairs an updated exterior and interior design with new safety and infotainment technologies, as well as efficient new powertrains complying with future emissions standards. Upgrades to the Sportage range also includes modifications to ‘GT-Line’ models. Dealership teams will access the learning experience via the Kia Academy, which will equip them with the knowledge and confidence to carry out effective product presentations, test drives and vehicle handovers to customers. 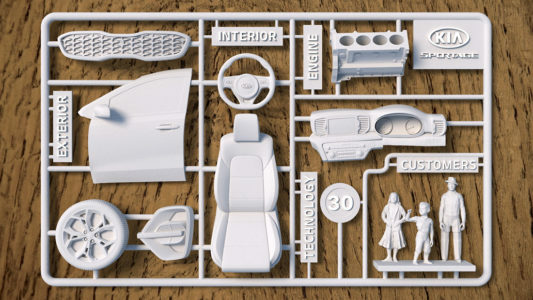 An interactive ‘build your own’ New Sportage activity that allows users to construct and learn about the exterior features, which, upon completion, seamlessly blends with a 3D printed model. Video content featuring a family engaging with the New Sportage and the 3D printed car to demonstrate its key features. 3D animation, gamification, and quizzes to reinforce knowledge and retain engagement throughout. The learning experience was produced in-house by mobedia at their studio in Manchester City Centre, and the film content was shot on location in the Greater Manchester area. “Sportage has played a key part in building the Kia brand over the years, so we used the theme of ‘building’ for our learning experience. “Working with mobedia is always a pleasure – on this occasion they created a bespoke piece of learning using innovation to encourage the learner throughout their journey. This unique learning strategy encourages the user to become fully immersed in the subject matter, which ensures a higher level of knowledge retention. For more information please visit mobedia website. For more information on the New Kia Sportage check here. Founded in 2005, mobedia is a digital innovation agency specialising in immersive mobile web experiences and cutting edge learning and development content that utilises the latest front-end web technologies. Its team offers a combination of film, animation and best in class web and mobile app design to create exceptional, interactive digital learning content. 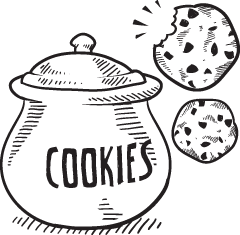 Headquartered in Manchester, with offices in Liverpool, London, and Florida, mobedia works with brands that include Kia Motors, Walgreens Boots Alliance, Volkswagen, Santander and Everton Football Club. This unique learning strategy encourages the user to become fully immersed in the subject matter, which ensures a higher level of knowledge retention.